B-Hopping is a method of jumping which involves turning and strafing at the same time. It is good in many ways. (1) It enables you to move faster throughout the map. (2) It makes you harder to hit while in combat. (3) It enables you to reach places that simply are not reachable otherwise. (4) Most importantly, it drastically improves your reflexes, because you have to train your eyes to move quickly back and forth. To learn about this very important part of being a pro at CS: S, click on the link below. 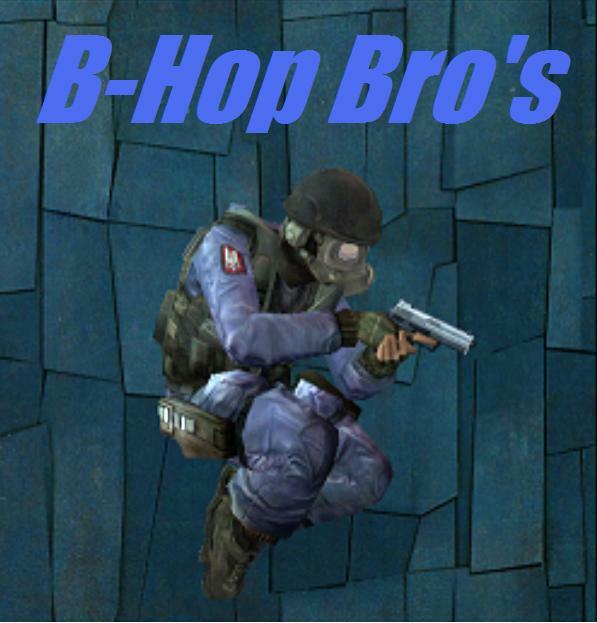 To join the Academy's B-hop group on Steam, click on the link below. If you are interested in b-hopping on Create-A-Server, here are the settings that will make it easier to do so. All your server settings will revert to normal when you exit and return to the server. So you will have to type in these commands every time you enter.